WARNING: This review will contain unmarked spoilers. Mario has received a letter from Princess Peach. The centennial Star Festival is about to begin and he has been personally invited to attend it with her. Every one-hundred years on the eve of the festival, a comet passes over the Mushroom Kingdom, causing stars and stardust to descend upon the planet below. Almost immediately after Mario arrives at the castle gardens, his archenemy, Bowser, arrives in his airship. He attacks the Toads, freezing them into crystals and invites Princess Peach to what he claims to be the creation of his brand new galaxy. Naturally, this turns out to be a less-than-generous offer, as he separates Peach’s castle from the ground, lifting it into the center of the universe. Mario attempts to intervene, but Bowser’s trusted sorcerer, Kamek, sends him into deep space with a powerful spell. A creature that Peach had been carrying during her abduction, flees in the direction in which Mario is launched as Kamek warps the castle away. Mario soon wakes up on a small, grassy planet in the middle of space. A star-shaped creature awaits him there, guiding them to a figure they refer to as their mother. Their mother turns out to be a mysterious woman named Rosalina. She introduces herself as the protector of the galaxies and mother of these creatures, which are called Lumas. Her ship, the Comet Observatory, has been deprived of its Power Stars and Grand Stars. Without power, the ship is unable to move through space. The culprit is none other than Bowser. Realizing that Bowser’s plan could jeopardize the entire galaxy, Mario agrees to help Rosalina, and sets out on a journey across the cosmos to retrieve the stolen Power Stars. Despite having a radically different controller, the base gameplay of Super Mario Galaxy is recognizable to anyone familiar with the series. Though he cannot throw a punch, Mario retains most of the skills he had in Super Mario 64, including the somersault, long jump, and the triple jump. As is series tradition, jumps are executed with the “A” button. Crouching is accomplished with a press of the “Z” button on the nunchaku. Much like in Super Mario Sunshine, the camera isn’t given a narrative-driven explanation. You simply make adjustments to it using the Wii Remote’s control pad. Pressing up on the control pad allows you to enter a first-person perspective that locks Mario in place. If you so choose, you can also use the nunchaku’s “C” button to center the camera behind Mario. Though it’s nice to know that Mario is just as capable as he has ever been, merely being on par with his Super Mario 64 incarnation would make for a predictable experience – even if this adventure takes place in space. This is where the Luma who was in Peach’s company steps in. Simply named Luma, this creature is just as determined to recover the Power Stars as Mario. In doing joining him, Luma grants Mario a swath of new abilities. With Luma’s help, Mario can now perform a spin. This technique is used for various purposes. The Nintendo Wii prided itself with its motion controls, which were seen as highly novel at the time. The spin itself is performed by shaking the Wii Remote. If he does this next to a fragile object, he can break it down. There are also certain objects that will be launched if he strikes it with a well-timed spin. When used on an enemy, Mario can make them dizzy. If he bumps into them in this state, he will defeat them automatically. By using it in midair, Mario can buffer his jump slightly. It’s important to know that he cannot perform a spin until Luma has returned to the inside of Mario’s hat, where it usually resides. Because it won’t return unless he is on the ground, the spin can only be used once in midair. It’s useful to the point where if you don’t know how to interact with a set piece, spinning is your first course of action more often than not. As you make your way through the opening stage, you may notice that there seem to be two different varieties of collectables to be found: coins and Star Bits. The coins’ purpose remains largely the same as it was in Super Mario 64. You can use it to heal any damage Mario may have taken, and if you collect fifty of them, you are rewarded with an extra life. However, it’s important to know you no longer receive a Power Star by collecting one-hundred of them. They’re still vital for gameplay purposes, but you no longer have a pressing reason to find them. Considering the stage design in Super Mario Galaxy is markedly more linear than that of Super Mario 64, this is for the best. Star Bits can be seen as early as Mario’s initial trek to Peach’s castle, raining down from the night sky. Though their purpose isn’t immediately obvious, they are, in many ways, even more useful than coins. Like coins, you will receive an extra life should you be persistent enough to find fifty Star Bits. However, you don’t have to physically touch them to collect them. As you point the Wii Remote at the screen, a star-shaped cursor appears. If the cursor hovers over any onscreen Star Bit, they will fly towards Mario automatically. Star Bits are modeled after konpeitō, a variety of Japanese sugar candy. They were originally made by repeatedly coating a poppy seed with sugar syrup until it formed its distinctive shape. The core is now made of a grain of coarse sugar. They came into being in the sixteenth century after Portuguese traders introduced the techniques for producing candy to the Japanese. Its name is even derived from the Portuguese word confeito, meaning comfit. As Japan had not the infrastructure with which to refine sugar, konpeitō was a true luxury item. Despite being based on a candy, Mario himself cannot consume any of them. Luckily for him, there are plenty of beings who can. As he journeys across the galaxy Mario may happen across a particularly hungry Luma. 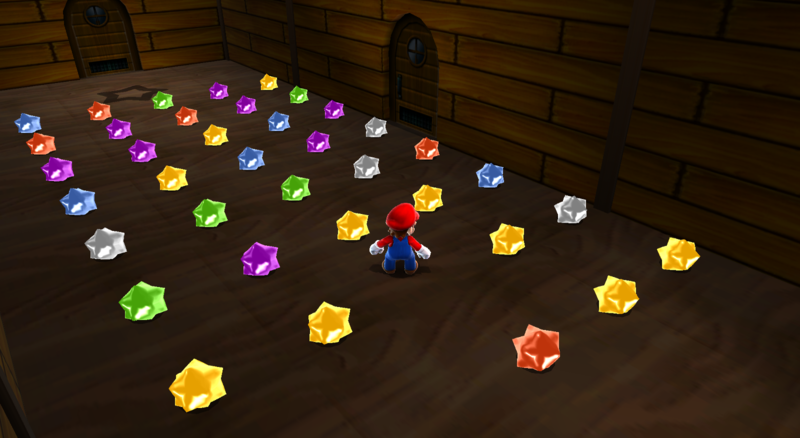 By feeding them enough Star Bits, they will prove very helpful to Mario’s quest. To feed a Luma, you must point the Wii Remote at the screen and press the “B” button. You can also launch Star Bits at certain enemies to stun them. 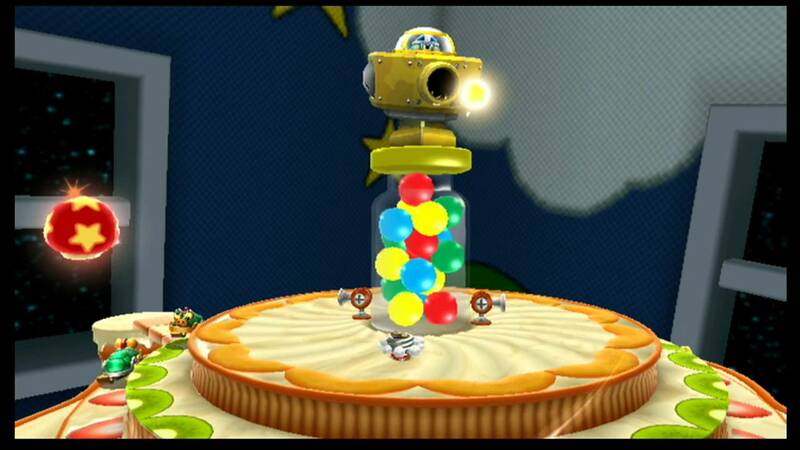 Most of the time, the Star Bits will cause them to transform into planets, though some will give Mario a useful item in exchange for a certain number of them. In this sense, Star Bits are ironically more of a functional currency than the coins. When you complete a stage, the Star Bits you collect are added to your total, allowing you to use them elsewhere. Because of its setting, you can’t really fall down a bottomless pit. As you learn from jumping between planets, space doesn’t exactly have an earthly sense of direction. This doesn’t mean the idea of falling down a death pit is a thing of the past – it has just been recontextualized for its new setting. The galaxy is teeming with black holes. Some exist within the core of certain planets while other simply float in space. If Mario passes the event horizon, he will lose a life. However, don’t assume that black holes are the only way Mario can lose a life in this fashion. A life will also be deducted if he leaves the boundaries of the stage. By finding the first Grand Star being held by Bowser’s forces, Mario is allowed access to the Comet Observatory. Rosalina’s ship then acts as the hub from which Mario can access the other stages in the game. The observatory has a certain number of domes. From the beginning, only one can be accessed, but for every Grand Star Mario receives, a new one will be unlocked. 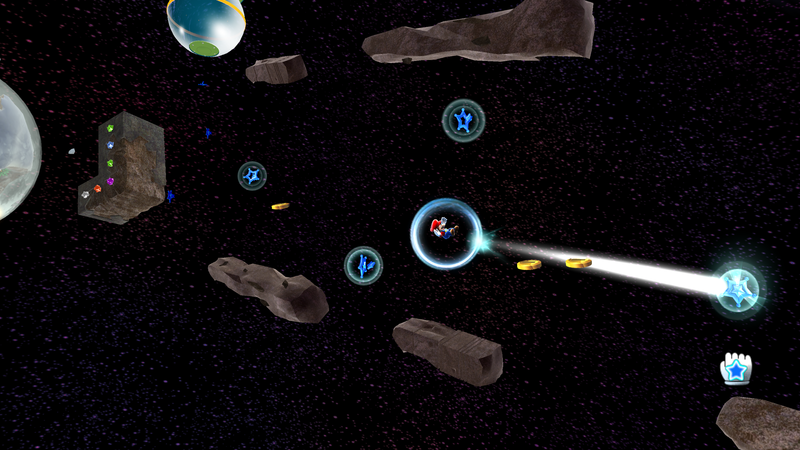 Within these domes lie Pull Stars, which are activated by aiming the cursor at them and pressing the “A” button. 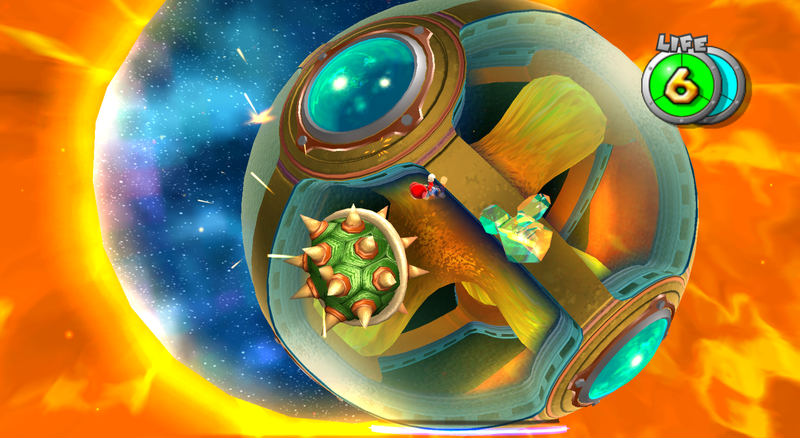 From here, Mario can launch himself to the galaxy connected to the dome. Within each galaxy are multiple smaller worlds. A specific amount of Power Stars are required to reach these worlds. Keeping in line with the ethos Nintendo had adopted for the Wii, the development team wanted Super Mario Galaxy to be enjoyed from people aged “five to ninety-five”. To this end, they ensured the player would be able to adjust to the game without any problems. However, Mr. Miyamoto expressed that a game loses its excitement when made unchallenging. Thus, Mr. Koizumi decided to meet him halfway with various, subtle gameplay modifications. One of the most obvious changes from Super Mario Sunshine is that Mario’s health meter has been reduced to three units. Though this sounds very restrictive, it’s important to know that unlike in Super Mario 64, any kind of damage Mario receives shaves off a single unit of health – it doesn’t matter whether he was burned or hit by an enemy. Should you be fortunate enough to find a Life Mushroom, Mario will be granted an extra three units of health. Unlike in The Legend of Zelda, this extension of Mario’s health meter is not permanent. If Mario is reduced to his original three health units, the additional three will disappear. They are also lost once you have completed the stage. Similar to Super Mario Sunshine, Mario has a separate meter to represent his air supply whenever he ventures underwater. If it is completely depleted, he will steadily take damage until he loses a life or refills the air meter. Conversely, Mr. Koizumi also made it far easier to obtain 1-Up Mushrooms. Upon starting a new session, you can speak with a mail carrier who gives Mario a letter from the princess. Despite being held captive by Bowser yet again, Peach manages to enclose five 1-Up Mushrooms in her letter assuring him she’s unharmed. Even better, there are several 1-Up Mushrooms scattered throughout the observatory, and they respawn whenever Mario leaves the area, making them easy to stockpile. Despite being rendered even more superfluous than it was in Super Mario Sunshine, the life system ironically has more of a purpose in Super Mario Galaxy. This is because there are far more checkpoints in place. This means, in many cases, you do not have to complete the objective in a single try to receive the Power Star. Though I have little doubt that Super Mario Sunshine was a decent as an inaugural effort on Mr. Koizumi’s part, it ultimately fell short in many ways. One of its more subtle weaknesses concerned its setting. Isle Delfino just didn’t have much diversity to it. This isn’t to say the stages lacked variety. Instead, what held it back was that it didn’t feature as many stages as Super Mario Sunshine. One could argue that what the later game lacked in quantity, it made up for in quality. This could be a defensible argument when you consider that there are more Shine Sprites per region of Isle Delfino compared to the number of Power Stars per course in Super Mario 64. However, it ultimately doesn’t hold up in practice. This is primarily because Super Mario Sunshine made players hunt for blue coins, ten of which could be traded for a Shine Sprite. Because some could only be found in certain episodes, finding many of them was a matter of combing a stage from top to bottom – and sometimes even that proved insufficient. After this experimental title, Super Mario Galaxy takes the exact opposite approach as its predecessor. 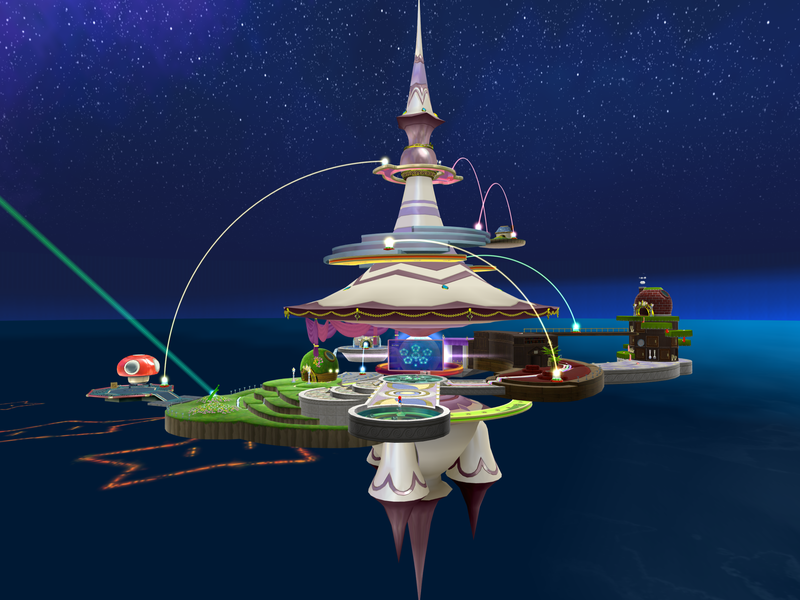 Rather than featuring a small number of stages with several Shine Sprites per stage, there is a scant amount of Power Stars hidden in the myriad worlds of Super Mario Galaxy. Given the direction in which the series was heading, this change is for the best. The stages in Super Mario Sunshine were designed in a similar fashion as those from Super Mario 64. This led to a strange disconnect in which you were made to explore a large, relatively open world, yet you could only get the Shine Sprite featured in the episode’s title. It wasn’t like in Super Mario 64 wherein you could get certain Power Stars out of order. Super Mario Galaxy doesn’t have this problem. The development team took the concept that only the selected star could be found and designed the stages accordingly. This time, the episodes can radically alter the configuration of the stage design, coming across as smaller levels contained within the same universe. What I like about this approach is that I never felt as though the developers attempted to get too much mileage out of these stages. If a given stage contains three stars, it’s because they deemed it large enough to contain that many. Meanwhile, should a stage only have one star up for grabs, you can safely bet it is appropriately short. In other words, you will never encounter a situation similar to Dire, Dire Docks in Super Mario 64, which had the team scramble to find some way to cram six different Power Star objectives into a tiny stage. Because Mr. Koizumi and his team successfully capitalized on how their series was evolving, the stages have a much greater diversity to them than those of Super Mario Sunshine or even Super Mario 64. The central theme of hopping between small planets with inexplicably strong gravity relative to their size is prevalent throughout the entire experience. This doesn’t mean every galaxy shares the same aesthetics as the introductory stage, however. 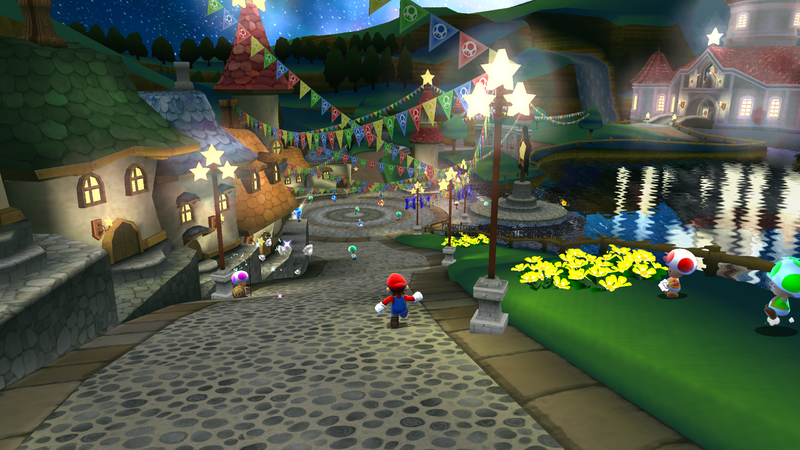 In fact, quite a few of the worlds Mario visits have their own atmospheres. Yet others have a unique set of denizens, lending Super Mario Galaxy a dynamic quality few games possess. You would be hard-pressed to find another game in which a character flies through the stars, sneaks through a haunted house, and interacts with a sentient queen bee all in the same journey. One of the locales is an icy universe littered with pools of lava dubbed the Freezeflame Galaxy. Though it may come across as a standard, out-there concept for a video game stage, there is an exoplanet like it in real life the size of Neptune named Gliese 426 b, which orbits the red dwarf star Gliese 436. Due to its unique properties, the planet is coated in ice despite its high temperatures. Having been released one year after The Legend of Zelda: Twilight Princess and around the same time as Metroid Prime 3: Corruption, Super Mario Galaxy serves as an interesting contrast to both of those acclaimed titles. While Link and Samus gradually built up an impressive arsenal that would allow them to circumvent new obstacles and subsequently access new areas, Mario begins and ends the game with his decidedly small pool of abilities – the sole permanent upgrade is provided by Luma. Instead, there is a greater emphasis placed on the stage design itself. You’re merely applying what you’ve known from the beginning in every single situation, but in increasingly complex ways as the game goes on. This doesn’t mean he is always restricted to his initial set of skills, however. In fact, one of the greatest things about Super Mario Galaxy is how it reintroduces a mechanic that had been conspicuously absent from the series since it made the leap to 3D: the power-ups. Super Mario 64 had three varieties of caps for Mario to don while F.L.U.D.D. from Super Mario Sunshine could be upgraded in various ways, but they didn’t quite capture the essence of the traditional power-up system featured in the classic 2D Mario installments. In Super Mario Galaxy, you’ll know the power-ups have made a triumphant comeback when you realize you can collect Fire Flowers. 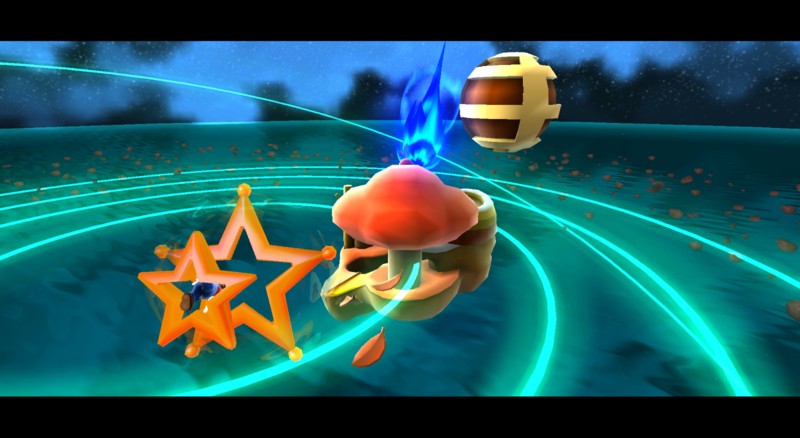 Though it has something of a precedent in the form of Yoshi gaining the ability to breathe fire in the DS remake of Super Mario 64, Super Mario Galaxy marks the Fire Flower’s formal debut in the fully three-dimensional Mario installments. Fireballs can be thrown by having Mario face an enemy and shaking the Wii Remote quickly. 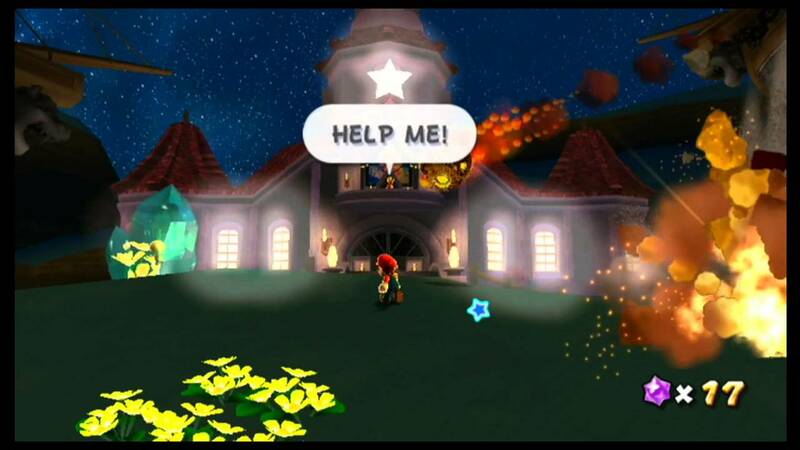 Being applied to a game in which Mario has a health meter, the Fire Flower wears off in twenty seconds as opposed to being lost upon taking damage. There are plenty of other power-ups to be found along the way. One of the first you will find is a Bee Mushroom. 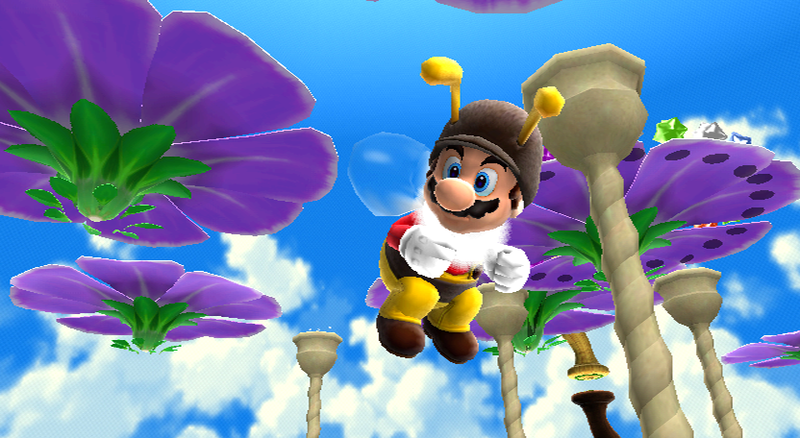 Sensibly, this gives Mario a beelike form, allowing him to fly around for a brief duration. This power-up is analogous to the ones that served as alternatives to the Fire Flower in Super Mario Bros. 3, Super Mario World, and Super Mario Land 2. 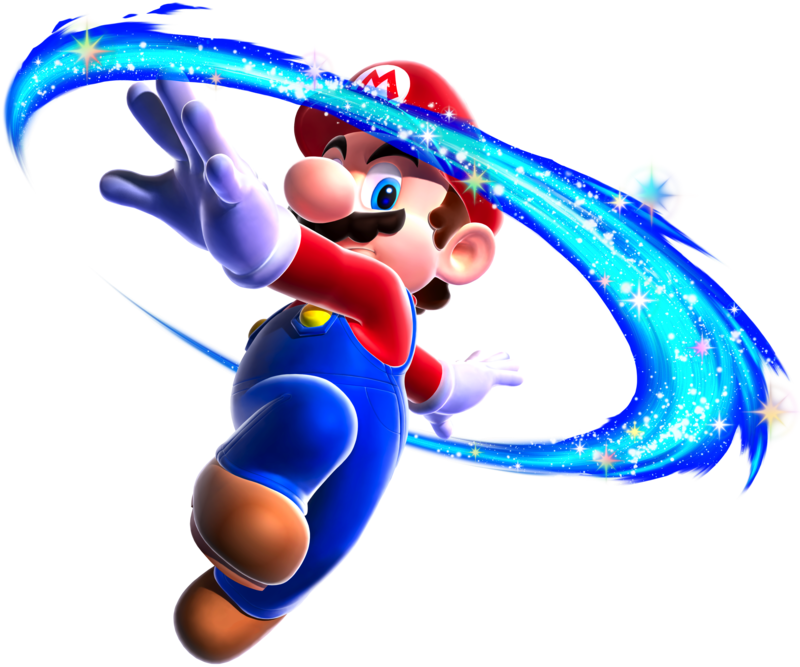 While the Fire Flower increased Mario’s offensive abilities, giving him an effective ranged attack, the alternate power-up – whether it was the Super Leaf, Cape Feature, or Carrot – enhanced his mobility. For a significant portion of those games, you would be constantly asking yourself which power-up is more helpful in a given stage. 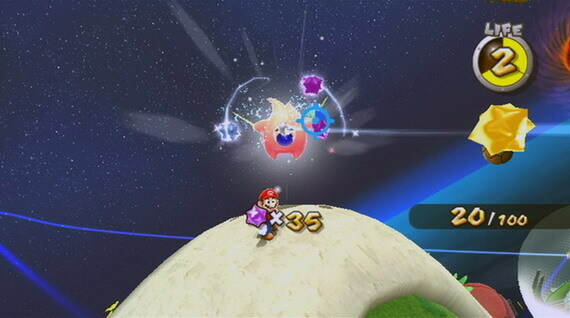 As you proceed through the game, you’ll realize power-ups in Super Mario Galaxy are distributed in a slightly different fashion than in Mario’s 2D outings. 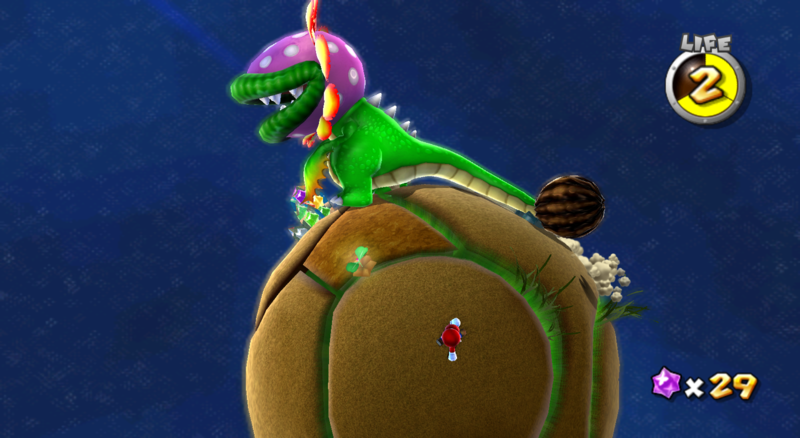 In those installments, power-ups served a general purpose – aiding Mario in his quest to reach the end of a given stage. While the power-ups were doubtlessly valuable, rarely did the player actually needed to collect them to proceed. If you absolutely needed a power-up to proceed, you could expect to find the appropriate one nearby. Here, the power-ups tend to be endemic to the regions in which you find them – and in many cases, the episode as well. Because of these slight changes, power-ups are much more tied into the level design itself. This is evident when you learn Mario’s bee form can stick to walls made of honey in addition to granting him the ability to fly. A majority of the later power-ups operate similarly. From the Boo Mushroom to the Red Star, which transforms Mario into a ghostly form and grants him the ability of flight respectively, these power-ups not only fundamentally alter the way in the game is played, but their use is required to reach the associated Power Stars in the first place. With these mechanics in place, Super Mario Galaxy continues to capitalize on how Super Mario Sunshine excelled. While contemporary efforts such as Halo 3 and BioShock provided more monotone experiences, albeit quality ones, Super Mario Galaxy subtly jumps between genres without skipping a beat – sometimes in the span of a single stage. It is always, at its core, a 3D platforming game, yet the varied stage design and wide array of power-ups ensure the journey never has a dull moment. At the same time, Super Mario Galaxy comes across as a marked improvement over Super Mario Sunshine because Mr. Koizumi and his team were much more effective weeding out the bad ideas this time around. The variety present in Super Mario Sunshine was both its greatest strength and its biggest weakness. Though showcasing an impressive amount of ambition, the game lacked focus, thereby making several small mistakes throughout the experience that added up over time. For the most part, this isn’t an issue in Super Mario Galaxy. The physics engine is significantly more predictable in this game, which is impressive when you consider its cosmic setting. There also isn’t a single blue coin in sight. No longer will you have to worry about collecting a large set of items with no way of keeping in track of them. One of the greatest aspects of Super Mario Galaxy lies in its motions controls. Though it takes a bit of practice to master, especially in how it you must shake the remote in order to execute a spin, they successfully add another dimension to the gameplay. Using the cursor in particular to both collect and launch Star Bits is highly novel. One of the most important aspects of implementing any kind of control scheme is to not overtax the player’s hands. Because the Wii Remote is pointed at the screen at all times, it’s very easy to use it while concentrating on the actual game. Then again, you will rarely, if ever, encounter a situation wherein you have to shoot Star Bits at anything during the more difficult platforming sections. There also isn’t too much of a consequence for failing to get them in a given area. If you need a certain number of Star Bits to feed a Hungry Luma, they are usually in enough abundance so you won’t find yourself scouring every inch of a stage for them. Though the Pull Stars are criticized in some circles as being cumbersome, I feel they are an excellent mechanic to substantially complement the cursor’s presence. It’s an interesting way of making Mario platform while airborne without giving him the ability to fly. A lot of the challenge when it comes to using them involves having them pull Mario while using the momentum from a previous star. While the motion controls are introduced alongside a slew of new ideas, they also enhance ones that have existed from the very beginning. To wit, Super Mario Bros. introduced the idea of stomping on a Koopa Troopa and kicking their shells in order to defeat any enemy unfortunate enough to get in its path. Super Mario Bros. 3 took this simple concept a step further by allowing players to carry the shells and launch them from a more opportune spot. Once you got the hang of the mechanic, it was an incredibly effective way of dispatching multiple enemies in a single attack. Though this ability made a return in Super Mario World, it was conspicuously absent from Super Mario 64. Then again, giving players the ability to surf on Koopa Shells was an acceptable tradeoff. In Super Mario Galaxy, not only can you pick up Koopa Shells once more, the motion controls allow you to throw them with amazingly good precision. Using them to open treasure chests or defeat enemies is particularly gratifying. The team anticipated players would feel this way, for there are at least two boss encounters that must be fought by flinging shells at them. Speaking of which, Super Mario Galaxy is a significant step forward for the series in terms of boss fights. Super Mario World 2: Yoshi’s Island and Super Mario 64 demonstrated the series had potential for good bosses, yet I would argue it wasn’t really until Super Mario Galaxy that the team fully realized it. The fights against Bowser are as incredible as ever, but so are the ones against his underlings. Even the very first encounter is memorable, pitting Mario against the Dino Piranha. Defeating it involves spinning into its tail, thereby hitting it on the head. Things get especially interesting when it shows up demanding a rematch later in the game – this time, being on fire. Though a simple concept, I do enjoy how the simplest boss in the game is significantly more difficult when you fight it a second time. Though the boss fights showcase a lot of innovation the one that stands out to me the most is the Bouldergeist. True to his name, he is a ghost with the ability to control rocks and throws them at Mario during his boss fight. 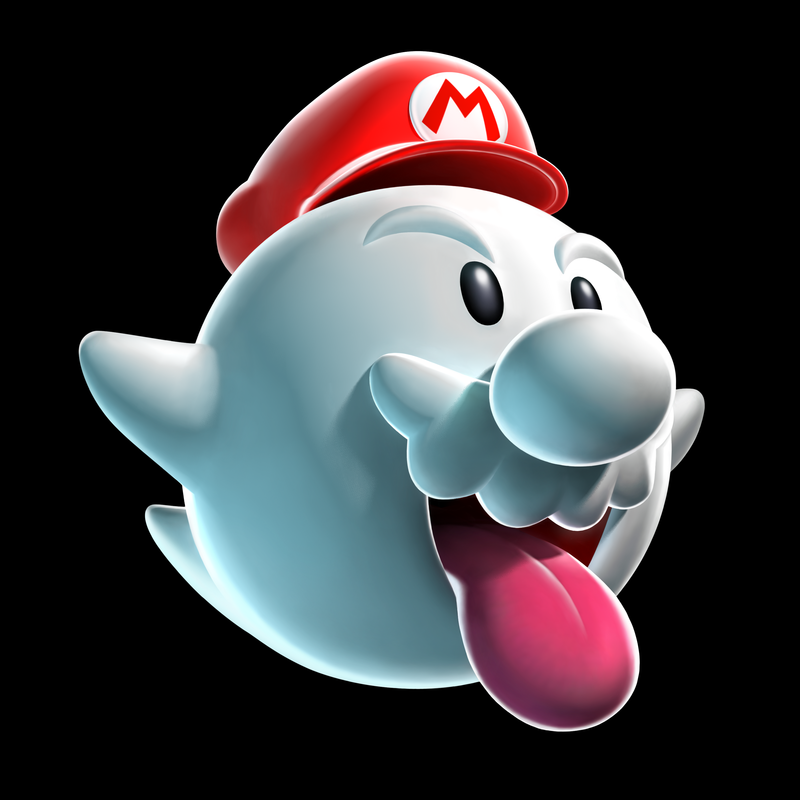 Spawning from the black rocks he throws are explosive Boos Mario must then throw into the Bouldergeist until he reveals his true form. This is a highly challenging fight in which you must pay attention to his attack patterns while slinging the Bomb Boos into him. It makes for an especially tense fight if Mario is reduced to a single hit point and you’re just about to land the finishing blow. Although Super Mario Galaxy is a material improvement over Super Mario Sunshine, it isn’t without its flaws. A majority of the unique power-ups you need to obtain in order to get these Power Stars are fun to use – to the point where it’s something of a shame they aren’t more extensively featured. Though some power-ups have more fans than others, the most universally despised one is the Spring Mushroom. The concept of this power-up is inane to begin with. It doesn’t significantly transform Mario, nor does it allow him to make use of a specially powered suit. 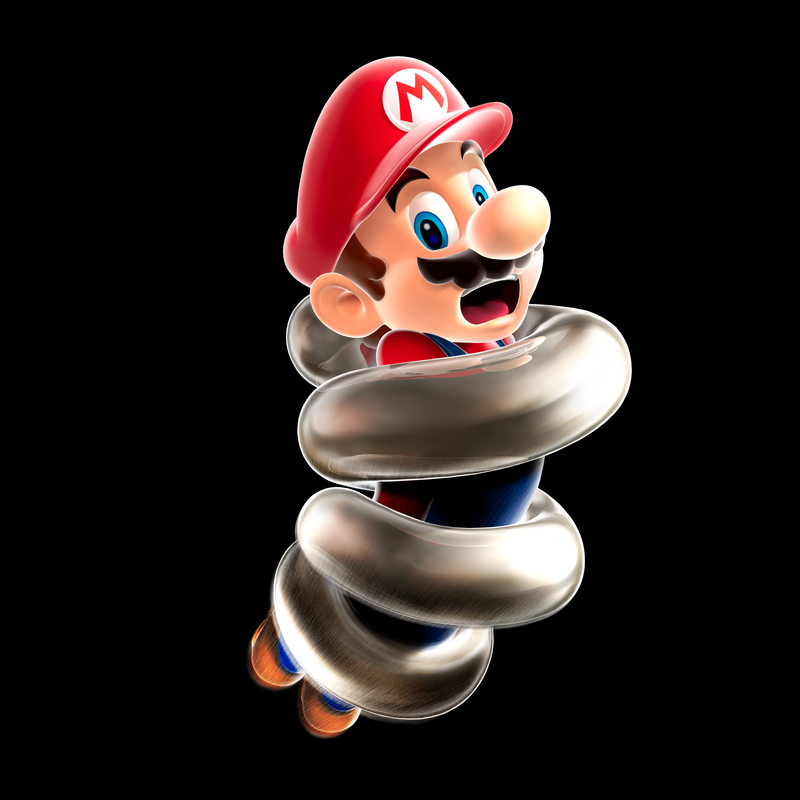 The power-up is just Mario wrapped up in a spring. If its problems began and ended with how it looked, it wouldn’t be so bad, but controlling it effectively is a borderline impossibility. You must use well-timed presses of the “A” button in order for Spring Mario to leap in the air. The most frustrating thing about using this power-up is that Mario cannot stand still. Good platforming is usually implemented on the basis that the player has an ideal amount of control over their character, if not complete control. This is especially true in the average Mario game, in which you historically had control over how the title character could run, jump, and maneuver him while he is in midair. What the Spring Mushroom does is take away the sensibilities the average gamer developed in a typical platforming affair for the sake of making its associated sequences more difficult. However, this brand of difficulty is of a distinctly artificial flavor. With no easy way to control Mario when you’re about to make a jump, you have to waste a lot time repositioning him if you calculate his short hops incorrectly. Even if you do anticipate where he will land, you also have to contend with the fact that the high jumps require perfect timing; press the button too soon or too early, and Mario will likely fall off of the stage. As if that wasn’t enough, one boss, called the Undergrunt Gunner, practically requires you to use the Spring Mushroom in order to fight it. This is highly problematic because it’s a power-up meant to enhance Mario’s mobility – not his offensive capabilities. This means even if Spring Mario was easy to use, the boss fight would still be immensely frustrating. As it stands, the game forces you to engage in combat when you’re largely incapable of launching basic attacks. It is possible to win without using Spring Mario, but it requires such precise applications of the backwards somersault, doing so is arguably more difficult. Anyone seeking to criticize Super Mario Galaxy is inevitably going to mention the Prankster Comets. These celestial objects can occasionally be seen floating around a galaxy. Their mere presence causes many strange ontological changes, though if Mario completes a mission with one nearby, he will gain an additional Power Star. There are five different types of Prankster Comets, and they are distinguished by their color. Speedy Comets are red, and they require players to complete a stage within a certain time limit. A Daredevil Comet is distinctive by its white hue. Should Mario enter a galaxy when one is present, he is left with a single unit of health and cannot use a Life Mushroom to extend his life meter. A Cosmic Comet is identifiable by its blue aura. Entering a galaxy in its presence will cause a clone of Mario dubbed Cosmic Mario to appear. From there, Mario must reach the Power Star before his doppelgänger snatches it away from him. Yellow Prankster Comets are known as Fast-Foe Comets. As their name suggests, they cause every enemy and obstacle in the stage to speed up. Lastly, there are Purple Comets, which spawn coins of the same color. Collecting one-hundred of them will cause a Power Star to appear. I myself have mixed feelings about the Prankster Comets. On the surface, a majority of them are merely tougher versions of levels you have already cleared, bringing to mind the recycled level designs in Super Mario Bros. On the other hand, the challenges they provide are surprisingly intense. Many of the Daredevil Comets appear in episodes that culminate in a boss fight. Indeed, the aforementioned Bouldergeist is one of the bosses that must be defeated without taking a hit on your second run, and you will learn the importance of studying attack patterns. Coupled with the fact that Prankster Comets remove any and all checkpoints, and it’s astonishing how seldom they come across as unreasonable. They’re doubtlessly challenging, and you’re not likely to complete them on your first try, yet they push you to master the game rather than leave you frustrated. However, there are two factors that make them more irritating than necessary. To begin with, if a Prankster Comet appears, you are forced into completing its associated challenge if you wish to visit that galaxy. If you absolutely do not want to complete the Prankster Comet challenge, you must fulfill a normal objective in a different galaxy until it goes away. You can also speak with Comet Tico, a Luma who can move the comets at the cost of twenty Star Bits. However, unless you possess many of the Power Stars hidden within the Prankster Comets, you won’t have much control over where they will end up. In other words, you could end up having to deal another comet immediately after completing an unrelated mission. Alternatively, if you wish for a specific comet to appear, your control over that aspect is limited as well. Another problem involves the Cosmic Comet. Though the premise of these comets seems straightforward enough, being a simple race to the finish, you will find yourself losing again and again on certain stages. It’s not that you’re going too slow either; you’re taking every shortcut imaginable, yet you just can’t catch up. As it turns out, there is a technique that allows you to get a speed boost at the beginning of the race. To perform this, you must hold up on the control stick when the countdown starts, hold the “Z” button when it hits two, and press the “A” button as soon as the race starts. This could be seen as shout-out to Mario Kart, but even fans of that series wouldn’t think a similar technique exists in a platforming game. Moreover, while Mario Kart simply required players to accelerate at the right time during the countdown, doing the same in Super Mario Galaxy involves a pattern few people would guess. Worst of all, not a single character in the game mentions or even suggests you can get this speed boost, meaning uninformed players wouldn’t know it exists at all. Fortunately, the main reason why these flaws stand out is because Super Mario Galaxy provides a consistently solid experience. It stands to reason that what amounts to a collection of minor imperfections would stand out more in a great game than in a bad or mediocre one. Just like in Super Mario Sunshine, a lot of what makes the shortcomings of Super Mario Galaxy tolerable that the damage they cause is localized. Once you have completed every stage that features the Spring Mushroom, you never need to deal with it again. As soon as you collect the Power Stars from the Prankster Comets, you have nothing left to prove. The same principle applies to any other mechanic that just doesn’t resonate with you; once they’re out of sight, they’re out of mind – or at least until you conduct a second playthrough. While many aspects of Super Mario Sunshine negatively impacted the gameplay, one of the biggest problems concerned its plot. Super Mario Sunshine inadvertently made the case that, even if a game isn’t sold on its story, it still needs to passable or invisible in order to avoid actively cheapening the experience as a whole. 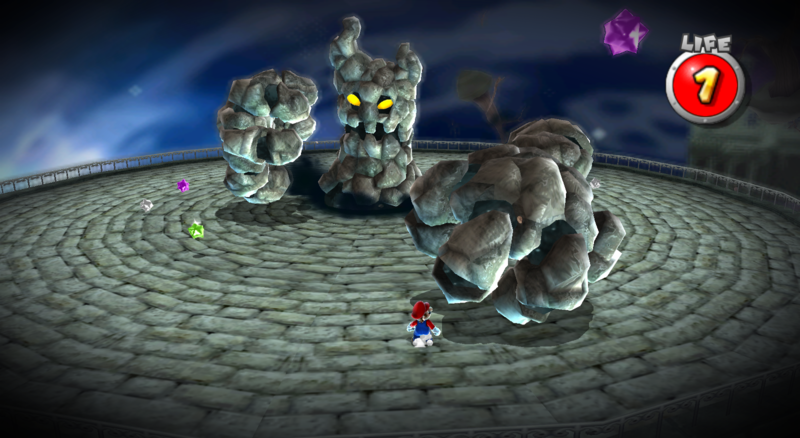 The fact that the plot was catalyzed by the Piantas being unable to distinguish Mario from Shadow Mario made the game difficult to take seriously. One could argue it was meant to be a self-parody, but if that were the case, the team needed to go all in. The reason I say this is because Super Mario Galaxy demonstrates what one can accomplish when you introduce sincerity to a franchise ruled by wackiness. Despite retaining its lighthearted tone, Bowser immediately regains his status as a credible villain when he shows up out of nowhere and hoists Peach’s castle with minimal effort. As the entirety of Super Mario 64 took place in this castle, it lets the player know on a subconscious level that the stakes are much higher than before. To make matters worse, he wants to destroy the universe and recreate it as his own galactic empire. Though he does make a tactical error in getting Mario’s attention when it would be better to not alert him to his plan, it’s still impressive how much more competent he became. 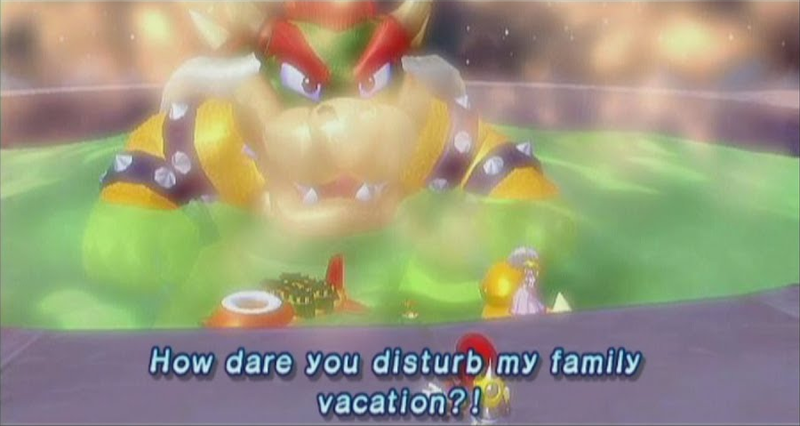 It’s a far cry from the bumbling father who whined about Mario ruining his family vacation. 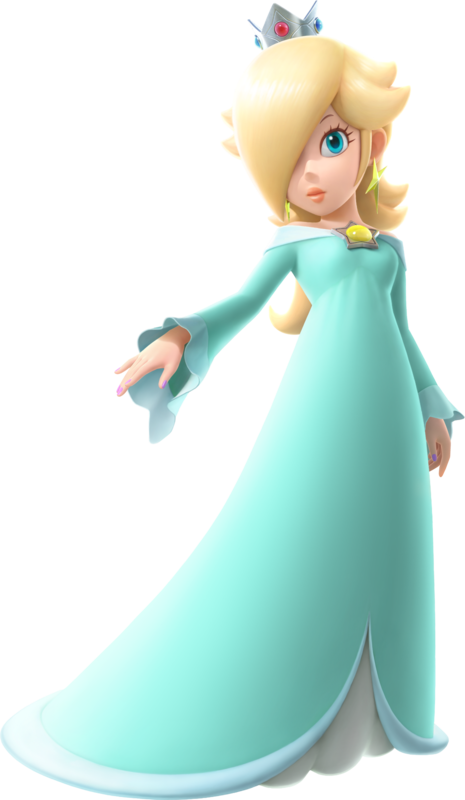 Though giving the player a powerful villain to stop was a definite step in the right direction, this installment’s greatest contribution to the Mario franchise would be Rosalina. To begin with, it was immensely refreshing seeing a female character in a mainline Mario game exist for a reason other than getting kidnapped. Unlike in Super Mario Sunshine, this isn’t a bluff either; she remains safe throughout the entire game, aiding Mario’s journey however she can. Just as the Lumas Mario first met said, she also acts as a maternal figure for them. This is especially evident should you decide to visit Rosalina’s library. There, she is often seen reading to the Lumas from a storybook. One of Mr. Koizumi’s first jobs in Nintendo involved him designing the layout for instruction manuals, including that of The Legend of Zelda: A Link to the Past. Although this sounds like a hands-off role when it comes to game development, it underscores just how different the process was in its formative years. Because very little plot was reflected in game when playing it, whoever wrote the manual had nearly complete control over its backstory. When he worked on the sequel to A Link to the Past, Link’s Awakening, he provided the game’s famous twist. This changed the direction of the series, causing it to feature a greater number of high concepts that would prove instrumental in the medium’s growth. When it came time for Mr. Koizumi to direct Super Mario Galaxy, he conceived a storybook for his game. He wrote it late at night after everyone else had left for the evening. The following day, he presented the story to Shigeru Miyamoto. The latter was both impressed with his colleague’s effort and surprised that he would write it so late at night. Mr. Koizumi said in an interview with the monthly publication Nintendo Power that he would enjoy seeing the story published into a real children’s book. If Mr. Koizumi’s work on A Link to the Past allowed him to provide the game’s backstory in a physical document, Super Mario Galaxy accomplishes the same goal using one that exists within the fictional universe. 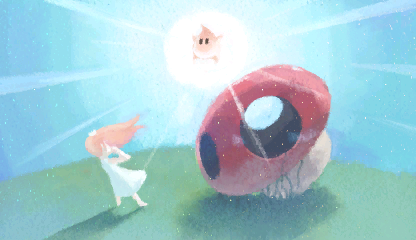 The storybook is about a little girl who finds a Luma. It crash-landed on the planet in its spaceship and says it’s waiting for its mother. The girl promises to wait with it for her to arrive. She borrows her father’s telescope and the two of them look in the sky, yet they find nothing. The girl then has the idea to find Luma’s mother themselves. They then repair the vessel and set out into the stars. The plot of the storybook seems to pay homage to The Little Prince, though it has the distinctive Mario identity to it. With Nintendo having unjustly cultivated an image as a company pandering to little kids, it can be quite shocking to see the twists and turns the storybook takes. The girl had related to the orphaned Luma due to having her mother disappear quite some time ago. Despite spending years in space, the girl never finds the Luma’s mother and she learns her own is dead. In the end, she adopts the Lumas she meets along the way, and they form a new family, living on a comet that appears in the skies of the Mushroom Kingdom every one-hundred years. Though never outright stated in the game itself, this girl grew up to be Rosalina. Though she has long since accepted her new role as the protector of galaxies, she still comes across as a lonely individual. When you consider that she no longer ages naturally, meaning she would outlive her entire family, it’s completely understandable. All of these great facets culminate in a memorable final act. Reaching the center of the universe, Mario arrives at Bowser’s Galaxy Reactor to do battle with his archnemesis. The boss fight itself is very memorable, taking cues from the final Bowser encounter in Super Mario 64 in terms of difficulty as you use everything you’ve learned to take him down. If nothing else, it’s much more of a climactic showdown than what amounts to destroying a floating hot tub. What allows the game to successfully stick the landing is that, like the storybook, it’s not afraid to go in a dark direction. 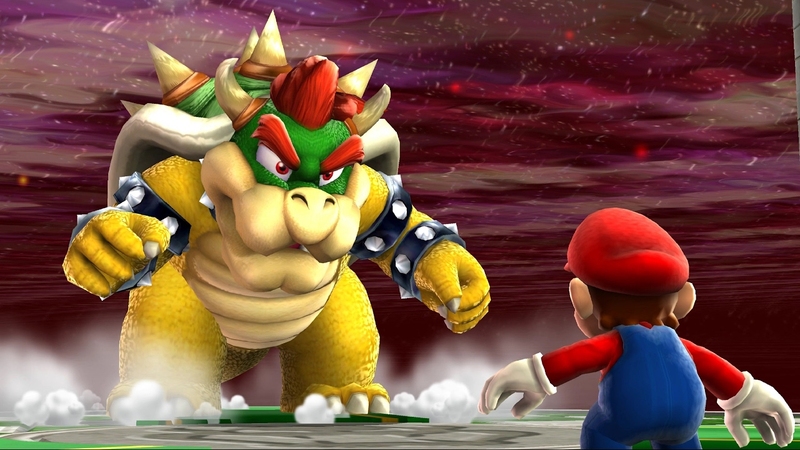 Mario lands the finishing blow by punching Bowser into the middle of a star. 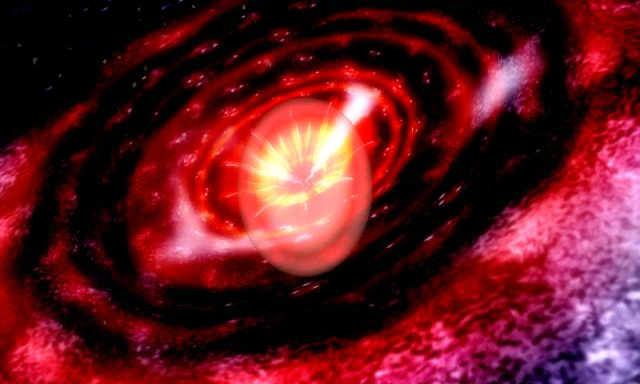 However, one of the planets of Bowser’s galaxy undergoes a supernova, transforming into a supermassive black hole. As it is in the center of the universe, nothing will be able to escape it. The Lumas sacrifice themselves to prevent it from expanding by flying into it – including the one that had accompanied Mario throughout his journey. The black hole envelops everything, destroying the entire universe. Rosalina saves Mario, telling him the universe will begin anew by rising from the ashes of the old one. This means every single being in the universe other than Mario and Rosalina was dead for that brief moment. It worked out in the end with everyone being reincarnated, but it was incredible Mr. Koizumi and his team went that far. It proves the creators at Nintendo are far more courageous than their detractors suggest. Super Mario Galaxy is a game anyone with even the slightest bit of interest in the medium should play. In the grand scheme of things, motion controls haven’t exactly fared well among gamers in hindsight; detractors make the case that they overcomplicate what could be more easily accomplished with the push of a button. Though this is a reasonable assessment and one could use it to claim Super Mario Galaxy hasn’t aged gracefully as a result, I propose that it’s a quality product because of its motion controls. Having developed the technology themselves, Nintendo knew how to implement the motion controls so that they seamlessly blended into the gameplay. 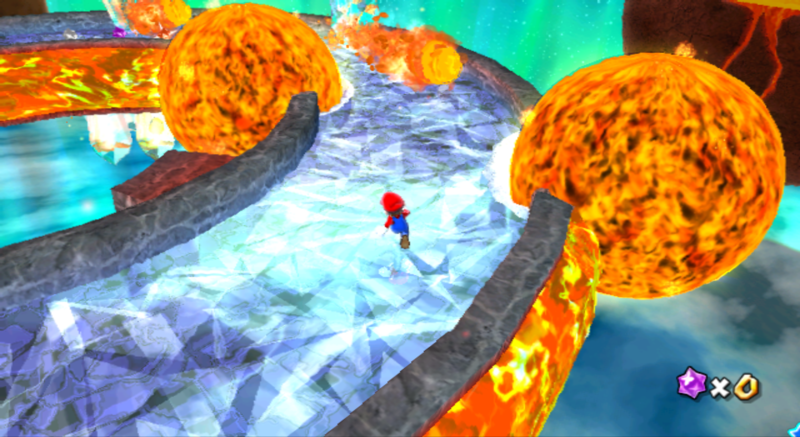 Despite Super Mario Sunshine having been released in the interim, Super Mario Galaxy comes across more as the first true sequel to Super Mario 64. If Super Mario 64 demonstrated what 3D gaming was capable of, Super Mario Galaxy bent and twisted the genre in ways few other creators have successfully done before or since. What makes it particularly admirable is that I never got the sense Super Mario Galaxy was simply Super Mario 64 set in space. The game certainly used Super Mario 64 as a base, but it ended up with a distinct identity. Once it was established, the team accomplished great things with it. Mr. Koizumi’s first effort as lead director showed a lot of promise and his work on Majora’s Mask made it one of the defining experiences of the early 2000s, but Super Mario Galaxy demonstrated that he was just as capable as a leader as he was an ideas man. Still an absolutely belting game. It really was a landmark experience when it came out, I remember being in awe of how Nintendo shook up the Mario formula. Especially with that glorious shift to an orchestral soundtrack. Indeed it is. The fact that Nintendo could make a good platforming game out of an experience involving jumping between planets in space denotes a level of talent most companies just don’t have. Knowing all the points laid here only solidifies its worth as the ninth bestselling Wii game and one of the greatest video games of all time. Super Mario Galaxy is a sight to behold. And it being on Wii was a match made in heaven. If this fantastic platformer gets ported to the Switch, it’ll be a dream come true. Glad you liked this post. There was a lot of love and care that went into this game. It was interesting because, having written a review of Link’s Awakening in the past, I knew of Yoshiaki Koizumi. The minute I learned he was the director of Galaxy, I immediately inferred he must have written the storybook because it does have a similar feel to it as the famous twist in Link’s Awakening. Did you feel that way too? Great review and write up as always. And congrats on post #300! Thanks! Glad you enjoyed reading it. Super Mario Galaxy isn’t quite my favorite game in the series, but there’s no denying that it’s a classic worth playing. What do you think of it? I’ve never played Super Mario Galaxy since GameCube was a system I didn’t own. I enjoyed Super Mario Galaxy 2 though. It’s a game that is on my to do list of backlog games. Actually, Super Mario Galaxy is on the Wii as well. If you have a Wii or Wii U, you have the means to play it. Though I feel Super Mario Galaxy 2 is better, its predecessor is worth playing as well. 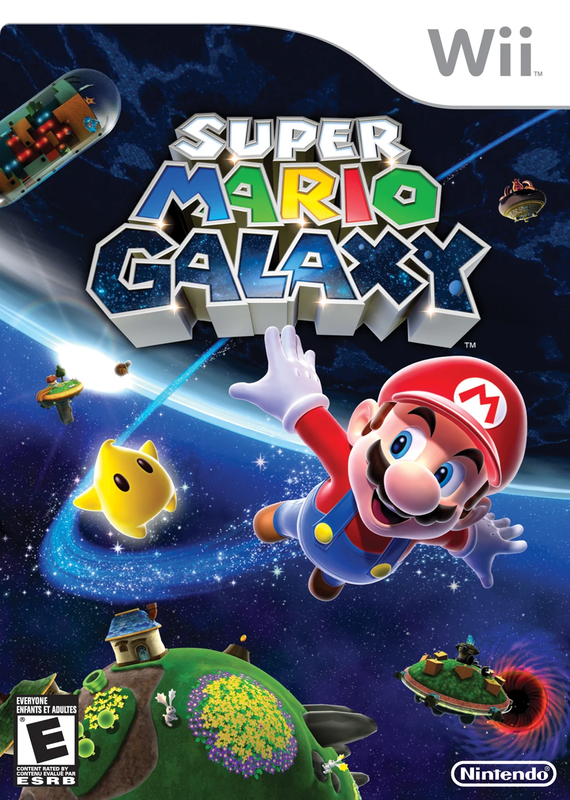 Next to 64, Galaxy is one of my favorite Mario titles to date. I haven’t reviewed my favorite Mario game yet, but this is definitely one of the strongest games in the series. Unpopular opinion: I didn’t enjoy this all that much. I found the gravity defying stuff hard to get on with and I gave up on it long before the credits. Still, I recognise is as a popular game, and it kind of cemented the idea that subsequent 3D Mario games would be ones that were significantly different to what came before, unlike the 2D counterparts which were content to be more of the same. I can see the gravity defying stuff losing some people, but I think it works excellently. It’s actually kind of amazing that it works so well. Plus, you have to admit that even if you don’t like it, its impact on the series is undeniably positive. That said, Super Mario Galaxy is not quite my favorite game in the series. And you’re right; it is a little disappointing that the side-scrolling installments are content to be more of the same. New Super Mario Bros. U was good, but the gameplay didn’t really change anything up. Oh it absolutely did a lot to move the games out of their comfort zone, opening the door for all kinds of potential! The fact that the levels no longer needed to be tied to grassy world, icy world, desert world, etc. Opened up all sorts of possibilities. Just look at the madness of some of the Odyssey levels! Still hoping a Mario title cracks a 10/10 from you. Galaxy was the game that restored my faith in gaming. Now, there were plenty of great games introduced in the N64/PS and PS2/GC/Xbox eras, but nothing that I felt delivered a (for lack of a better word) “perfect” gaming experience in ways the best 16-bit games did. The N64 seemed like things were starting from scratch, and lacked the polish of their 16-bit predecessors (very unpopular opinion: but I think Ocarina of Time is the most vanilla Zelda game. Thankfully Majora’s Mask brought some uniqueness to the series). And the early 2000s saw things try to get all “cool” and “edgy,” which I feel had a negative effect on the industry (anyone else remember how the internet often called Mario games “gay” during that time. Wrong on so many levels…). But then Galaxy came around, and it just felt…right. It had that same spark of imagination and polish in execution that my favorite 16-bit games had. And I think gaming has been better ever since. The Mario series, in particular, seemed to reach absurd new heights. Galaxy was seemingly perfect, then Galaxy 2 was somehow way better. Sure, the overabundance of New Super Mario games may have seemed like it ran out of steam, but then we got 3D World which was fantastic, and then ended up with Odyssey which is just mind-blowing. Plus Mario Kart 8, Mario Maker, ect. It’s kind of fun to look back that, before Galaxy, the Mario games generally regarded as the best were Bros. 3, World, Yoshi’s Island, and 64 (and RPG for us who branched out with the series). Those were the Mario games that appeared on “Best Games Ever” lists. But then ever since Galaxy it seems like the series just keeps adding more and more games on that level to its belt. It’s like, geez, slow down Nintendo! You’re making everyone else look bad. Yeah, it’s like games actually have earn points from me. I mean, a professional journalist would hand them out like penny candy to any AAA flavor of the month, so I guess I’m just part of the unwashed masses, huh? Oh, well. I did my best. And you’re right; the gaming industry seemed to lose its way after the conclusion of the fifth console generation. It wouldn’t really be until the 2010s that creators would finally start making games with the purpose of being fun rather than trendy. They were still finding their way throughout most of the decade and by the 2010s, it was firmly established that any kind of game can be good. Though it can be a little annoying how nobody ever agrees on a game’s quality, I like that it’s so easy to enjoy what you want now; you try to have that attitude in film circles, and you’ll get laughed off. I don’t think there’s ever really a moment in which I lost faith in the medium (despite Yahtzee’s best efforts), but I knew Super Mario Galaxy was the 3D installment the series needed to show Super Mario 64 wasn’t a fluke. And it does seem as though 90% of gaming history seems to involve other companies attempting to catch up with what Nintendo has done over the year (the other 10% having Valve blaze trails back when they could actually be bothered to make games). Thanks! Glad you liked this review. Have you ever played Super Mario Galaxy? If so, what did you think of it? I think I did a little bit but it was a long time ago back when the Wii came out with it. I remember watching my husband play it a lot more than I did. It was fun but I have a hard time dedicating time to video games. The one I was most into was World of Warcraft and I gave that up years ago. Yeah, video games are quite a time sink. It’s probably one of the only advantages other mediums have over it. It’s why I’m thankful for the indie scene because they’ve managed to dish out quality games that never overstay their welcome such as Undertale and OneShot. Congrats on getting to 300 posts. Here’s hoping for at least another 300! I never had a problem with the spring power-up, but I can definitely see why it is almost universally despised. Thanks! I’m actually surprised I managed to get this far because my 200th post was back in September. I distinctly remember having a difficult time using the spring power-up, so I was glad when the sequel greatly reduced its prominence to a single objective in which it played a very inoffensive role. Wow! So you were pretty fast going from 200 to 300. Yeah, it seems Nintendo heard fans’ complaints regarding the spring power-up. You see, that right there is one of the biggest reasons why Nintendo is one of the best developers in the business – they can actually take criticism and use it to improve themselves (as opposed to, say, the folks at Naughty Dog, who just make jokes out of their weaknesses). I fell off of this one fairly early, maybe not even halfway in? I definitely agree it’s a solid game, but I just lost interest for whatever reason. And I really couldn’t stand the motion controls. I didn’t get along with motion controls in any game, though, so that’s more me than the game. Great write up, though. Really enjoyed reading this. And congrats on the 300 posts! It’s easy to make the argument that the motion controls haven’t aged well, but I’d say they have a true purpose in Super Mario Galaxy. Too bad you ducked out early; I’d say the loss is yours. Thanks! I don’t intend to quit anytime soon, either. Super Mario Galaxy is my top Mario game. It just hits so much right, and is so very satisfying in doing so. It’s the one I’ve gone back to most often, and the first one I turn to when I’m just in a Mario mood. I feel it translates everything that makes Mario work to a 3d world better than any other game since Super Mario 64, and it’s really bold as well, trying tons of new and creative things that almost all seem to hit it on point. 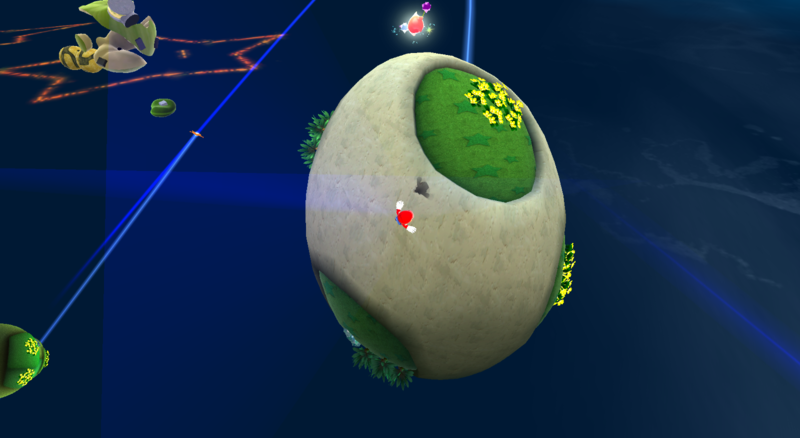 Even having a platformer on 3d spheres, I don’t think there’s any other developer that would be able to get the mechanics to work as well as they do here. It should feel completely unnatural and require a whole lot of control/camera shifts, but they’re just able to get it to work, and work right. Super Mario Galaxy was doubtlessly the first 3D Mario game to be an unequivocal improvement over 64 (I still have it an 8/10, but I will say Galaxy is higher on the master list). It’s not quite my favorite game in the series, but there is little question that it’s a quality game. Given the constantly changing gravity in many of these stages, it’s amazing that it works as well as it does. In the hands of less skilled developers, it would’ve been a disorienting mess, but Nintendo found a way to make it work really well.